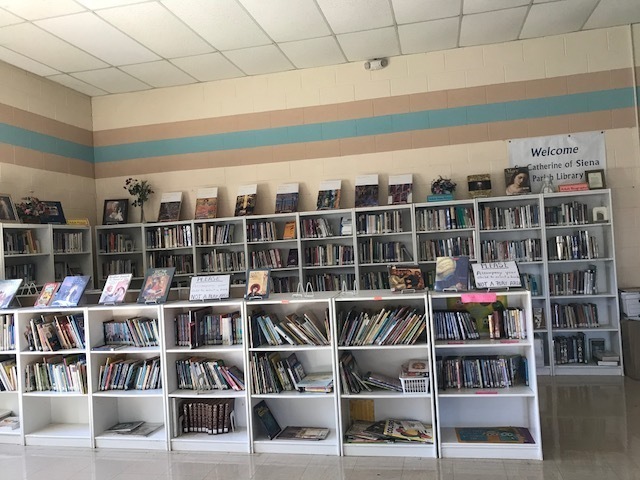 St. Catherine’s of Siena Parish maintains a library of books, video materials and audio materials which have spiritual and moral based ideas. The primary focus of our material relates to the Catholic faith and moral teachings, with biographical material on Catholic saints and persons. The material within our library crosses the boundaries of age, with items for adults, teens, youth and young children. We invite everyone to stop by the library and find some material to excite your values.